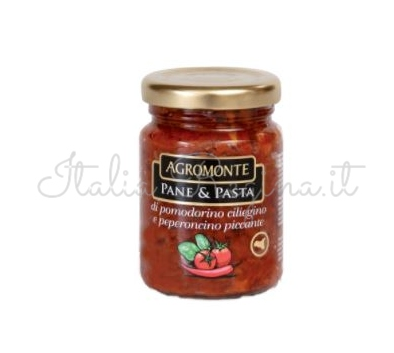 Cherry Tomato and Hot Pepper “Pane & Pasta” has a very strong and spicy taste, that is given by the excellen mix of cherry tomato and hot chilli peppers. 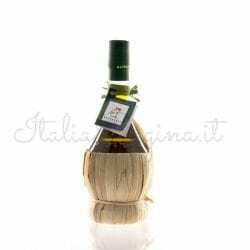 It can be used to flavour sandwiches and bruschetta and to serve it with pasta. 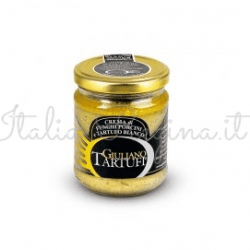 Ingredients: Dried and shredded cherry tomatoes, sunflower oil, salt, basil, red chilli pepper, salt, basil, garlic. 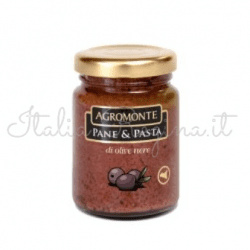 The Company Agromonte is located in the south of Sicily, in the province of Ragusa. The focus of the company is to show how the quality of a product can be the key of the success. The daily production is about thousands of units, creating various types of packaging: trays, jars of various sizes and bottles. The production process is based on raw material, selected by experts to ensure high quality standards. This product is ideal for creating corporate gifts. The minimum order is 100 pieces, available in 10 working days. The product can be customized. Ask for a quotation.